The job duties of a certified nursing assistant play an important role in the operation of a health care center, private practice, or hospital. You want to help people without the heavy responsibility of curing their illnesses. You want to be by people’s side when they are experiencing pain and hardship in their lives. However, a CNA has some roles that you have to be familiar with. You have to know that CNAs are not similar to medical assistants. They have different responsibilities. If you want to be a registered nurse, then being a CNA may be helpful to your career. Here is a brief discussion about what these health care workers do and do not do. Before you can understand the role of CNAs, you should first take a look at the things that they do not do. First, they hardly interact with the public or health care professionals. They do not greet patients as they enter the health facility. They also do not perform actions that do not cover the roles of the nurse that they are serving. They do not educate patients or complete medical records. CNAs are known to provide bedside care as well as assist nurses with many different health care related duties. Primarily they are there to assist the patients in everything they need. They can perform some tests and must take care of the patient’s hygiene at all times. They also interact with patients but not so much on an introduction level. Instead, they interact with them when they are in their rooms. From here, it is the role of the CNA to coordinate the conversation so that they have something that they can report to the licensed practical nurse or registered nurse. After all, they are known to be the liaisons between the patient and the nurse. However, everything that they do must comply with different laws such as the Health Insurance Portability and Accountability Act, the Joint Commission on Accreditation of Healthcare Organizations, Clinical Laboratory Improvement Amendments and Occupational Safety and Health Administration. It is also required that the nurse aide is well trained in the different operations that patients may require. But if there is one thing that separates this job from other medical-related jobs, that will be its prerequisite. Nursing assistants do not need the presence of a doctor in order to do their jobs. Other jobs such as medical assistants constantly need a doctor around. It is written in the law that they cannot do their tasks without the supervision of a doctor. Nursing assistants, on the other hand, can operate without a doctor. Instead, they need a nurse. But they can still work without a nurse only that they need to report everything that they have done to the registered nurse or licensed practical nurse. So I hope this article has managed to help you understand what certified nursing assistants do on the job. Due to the nature of the job, it is required that you have the compassion to care for other people. You may need to attend to their hygiene or just be there for them on their bedside. This is a great way to touch other people’s lives and even change the world for the better. 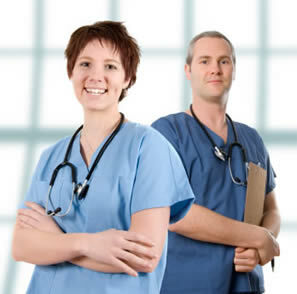 You can read more about commonly used nurse aide job skills on this page.